In the 1970’s an Austrian dowser, Kaethe Bachler, published an extensive study with more than 3000 school children who had trouble with their sleep and/or school performance. 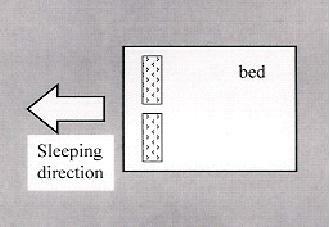 She documented numerous cases which quickly improved as soon as the children‘s bed positions were changed. I have mentioned Kaethe Bachler’s work in other articles, and recently discovered a reprint of her work in English at the Dowsing Convention in Vermont, last month. 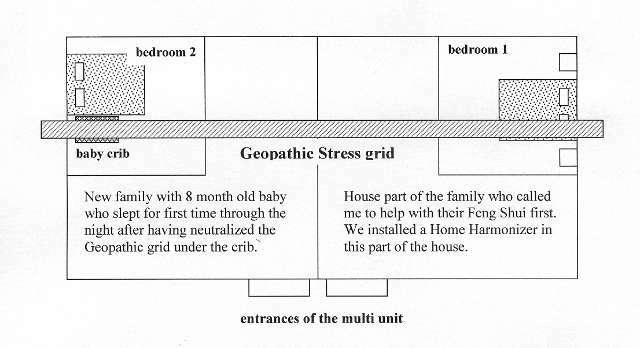 If you are not sure if Geopathic Stress is the cause for your baby‘s restlessness, try changing where they sleep for a few nights. Usually it takes a few days for a small child to adapt and detox from the energetic charge of Geopathic Stress. The metabolism is even quicker with small babies and you should see improvements within a day or two, whereas an adult might take several weeks or even months to rid themselves of the energetic charge. The first basic principle, as in any Feng Shui situation, is to clear clutter, especially the desk. Clutter stagnates Qi and blocks the energy flow. We want the energy to move freely through the room, so take the time and sort business papers in folders, buy an extra bookshelf or filing cabinet and organize your stacks of reading material. Empty your desk! Secondly, try to identify how much Qi there is in general and if you need any Qi enhancement. Is your office on a busy street? Or is it at home in your basement? Do you have daylight or do you spend your days in a windowless cubicle? Exposed situations are often good for businesses. Although a busy spot might be too active for a private residence, a lot of activity is favorable for a place of business. The amount of commotion you ultimately want will depend on the specific type of business you are running. Obviously, a shop will have different needs than a therapy practice. In the case of using a basement for an office space, try to get as much light and fresh air as possible. If natural light is not an option, install daylight/true light bulbs. These lamps have the full light spectrum of real sunlight and are recommended for any workplace situation. They literally enlighten a place and clear out depressive energies. Use an air purifier which filters and ionizes the air at the same time. Nothing is more oppressive than stagnant air. Plants and moving objects bring in additional energy, as well. 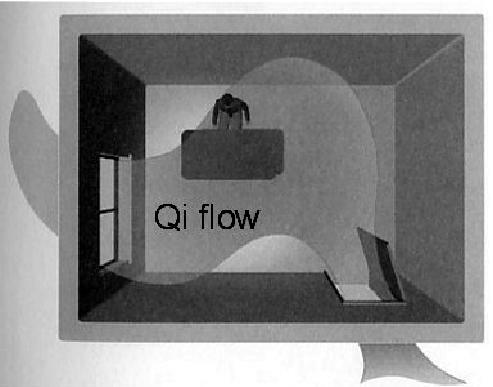 A room fountain or fish tank are other choices that stimulate Qi. All these features bring in life force, bring in Qi. 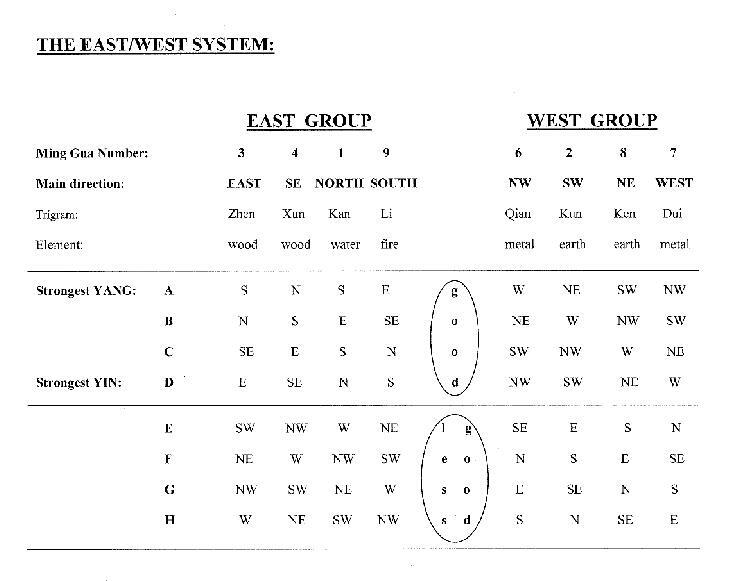 In traditional Feng Shui there is a whole system on the horoscope of the house and its influences on a business. This method is called FLYING STARS and describes the more and less beneficial energies for a building dependent on the direction the building is facing and the year it was built. The main principle of Form School, I hope you remember, is the armchair rule: Good support from the back, half support on each side and the open view in front. 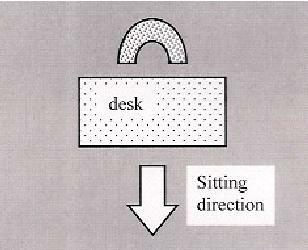 This principle can be applied for positioning a house on a property, but also for a desk in the office or a strong seat at a conference table. Make sure there is a solid wall behind your seat. Open space behind your back as in most cubicles always leaves a feeling of vulnerability and therefore disturbs the concentration. A desk at the window overlooking the park or even the ocean keeps the focus outside and away from the business. As desireable as this seems it gives way to day dreaming. This is not a good choice if you want to get anything done! We should face our desk towards the door so we can fully concentrate on the activities at hand. Knowing that the mountain symbolizes support from the back, a former associate of mine took a picture of his bank, enlarged and framed it for the wall behind his desk. Working very successfully in finances, he swears on this solution. Be creative with subtle approaches for subconscious influences. A space with lots of unconscious tension is the conference room. The setup of the room and the shape of the table determine the energy and the outcome of meetings, discussions and trainings. 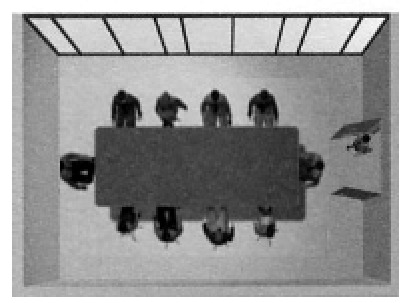 Rectangular shapes of tables are prefered for negotiating contracts, they support separate standpoints and views, whereas round and oval shapes enable open discussions with the danger of meetings that go around endlessly. Another interesting situation at a conference table is the power of different sitting positions. There is usually one position of controling called “the power seat“, which is often, but not necessarily located at the head of the table. In one of my workshops two ladies from one of Maine’s major banks explained that at their internal meetings the person next to the president of the bank is the one who really controls the event. He always chooses a specific seat which turned out to be the power spot at their table. Successful businessmen instinctively feel these differences and use them to their advantage. being asked for their date of birth (for a small polite present at their arrival) the person‘s strengths and weaknesses are analysed. The meeting then is scheduled for a time and set up in a way to take maximum advantage for the hosts. Picture: The Power seat in this example belongs to the person at the left end of the table. The seats on the lower end starting from left table are the next favourable sitting positions, the seat at the entrance is the weakest. A last but very important influence in an office environment is the permanent exposure to EMFs (electro-magnetic fields). This exposure is considered a modern form of Geopathic Stress, of draining and sickening earth energies. All the high-tech equipment in the office from computers, fax machines, copy machines, cash registers, to cellphones and devices for cordless communication contribute to a cumulative energetic drain. Extended power supplies and cables in walls and floors, antennas for wireless networks and multiple computers in shared office space cause increased stress levels on a subtle energetic level. As the body consists of a multitude of biochemical and electrical processes, strong electro-magnetic fields disturb this natural balance. Tension and stress leads to an over-acidification on the cellular level. Our biological terrain becomes compromised, our immune system weakened and the body’s ability to fight viruses, bacteria and other challenges is significantly reduced. Science still questions these mechanisms, partly because they have no solutions to offer. However, there is no way to ban technology from our workplace. The way to go is to properly protect ourselves by strengthening our own energy fields and by neutralizing the energetic impact of electronic devices. European cell phone companies officially experiment with these new technologies already and hopefully in a few years they will be integrated in their devices. If you’d like to know more about public movements against EMF-exposure, some of their website links or just get more information on effective shielding devices, please visit our website www.InstituteofFengShui.com.